Today we got a keeper! 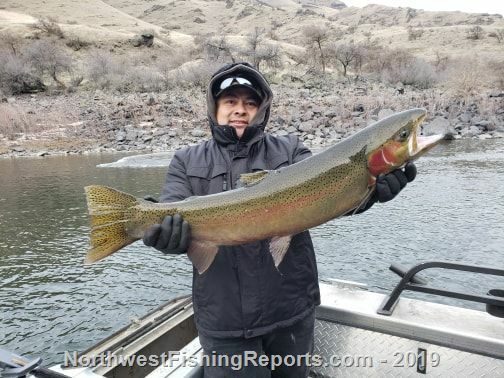 Our guest reeled in a 35" Steelhead and were ecstatic to have landed this monster! It's been a sunny, clear day and several Steelhead have been caught by our guests throughout the day and it's been a blast to be out on the river yet another day this week! Experience Idaho fishing like never before! Guided jet boat excursions on the Lower Salmon River. Fishing salmon, steelhead, sturgeon, bass, and trout! View other reports from HammerDownExcursions.